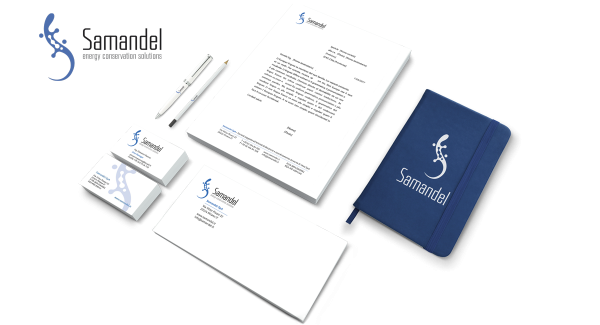 Samandel is a project that perfectly symbolises the concept of “building a brand image”, in the real world as well as on the web. We started with the logo, a piece of the foundation that visibly represents the company, creating an original, captivating and exciting sign for the customer, one that is capable of prompting reflection already at first glance. Then we went on to the site, a showcase with a unique feature: no image, just personalised illustrations depicting the service in the most creative way possible. At this point it was important to also bring Samandel off the web by creating a coordinated image in line with the website graphics. The need presented by the customer to have an institutional brochure and a set of commercial presentations was the best opportunity to put what had been created onto paper. Having ascertained that the logo is one of the strengths, we finally decided to make it the main part also in the company’s official merchandising.